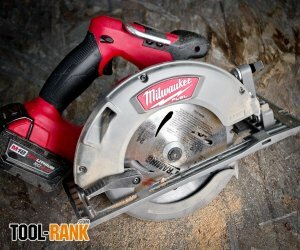 When Milwaukee announced that they were coming out with an 18-volt cordless 7-1/4-inch circular saw I was both shocked and impressed. Why? Just months earlier one of their competitors came out with the first cordless 7-1/4-inch circular saw, but it required 2x18V batteries (36V). Could Milwaukee do the same with one less battery? 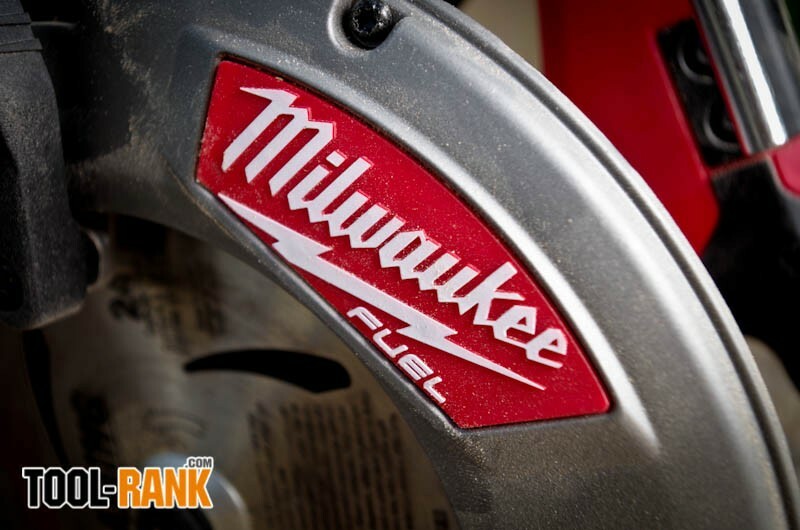 To find out for myself, Milwaukee sent me their 2731-21 M18 FUEL Brushless 7-1/4” Circular Saw Kit to review. 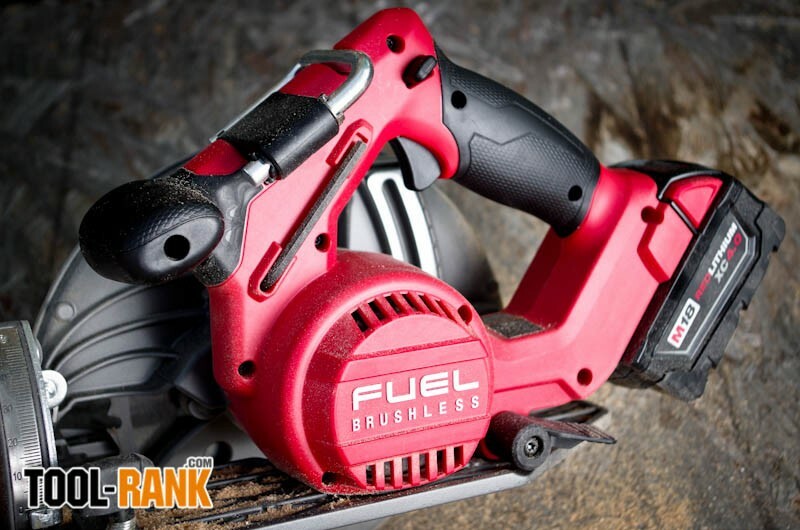 First, why is a 7-1/4-inch cordless circular saw such a big deal? The main benefit that jumps to mind for me is not the greater depth of cut that the larger blade size offers, but the benefit of blade options and availability. 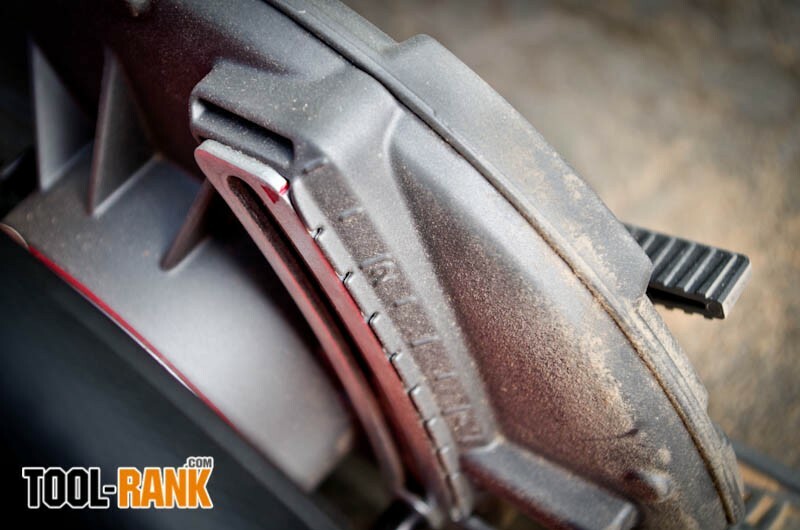 Typical cordless saws use non-standard blaze sizes like 5-3/8, 5-1/2, or 6-1/2”, which means blade availability and options are limited. 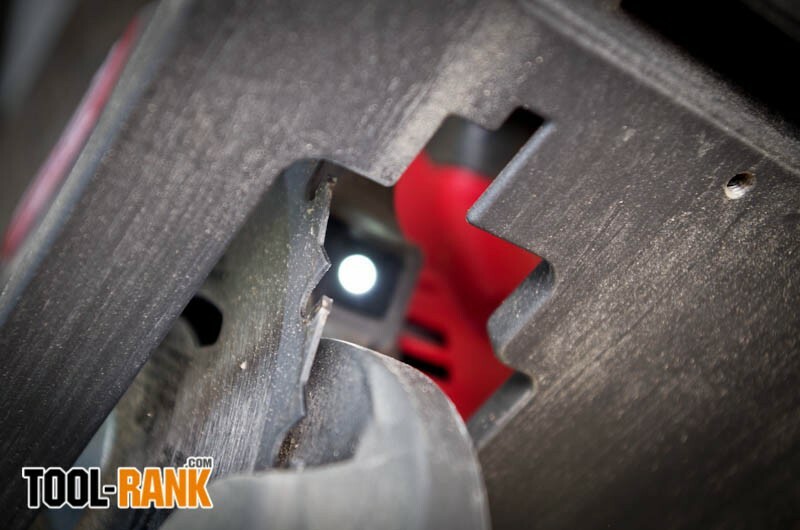 7-1/4” is the standard size for corded circular saws and there are hundreds of options available to match various cutting tasks. 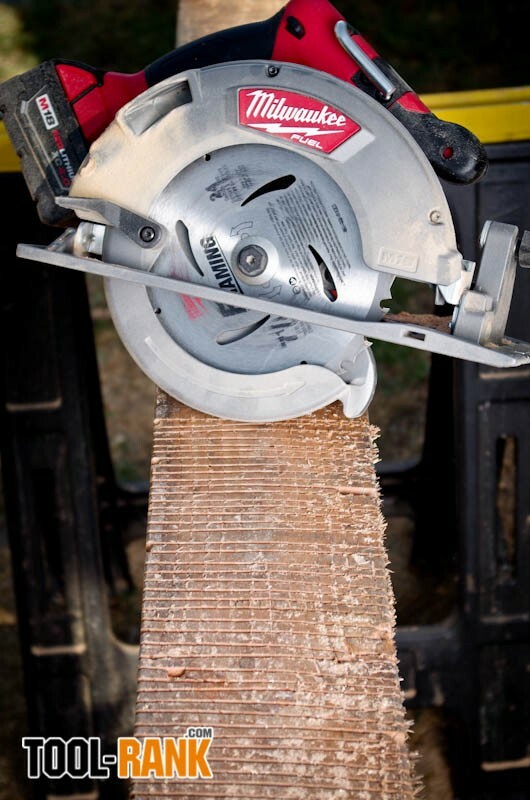 While cutting depth is not important to me—mainly because I am either cutting single sheets of plywood or 2x4s—it is another reason why people would want a saw with a larger blade. 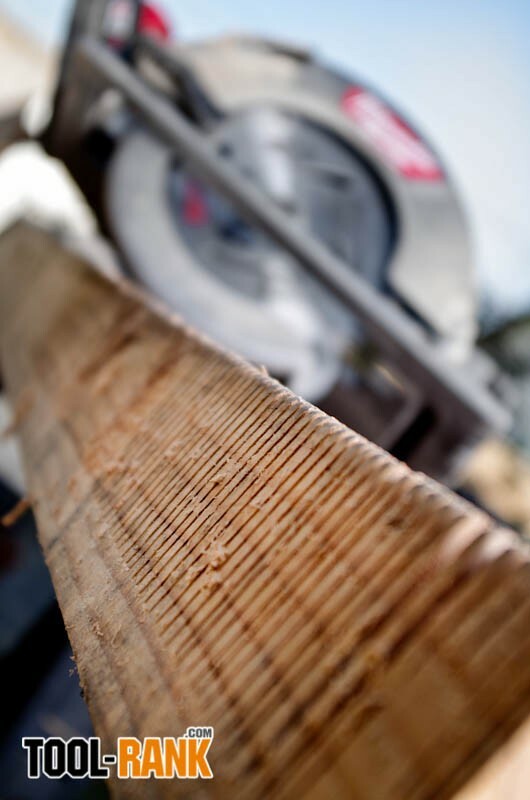 With a cutting capacity of 2-1/2” at 90-degrees, the Milwaukee 2731 can cut through multiple sheets of plywood at a time. 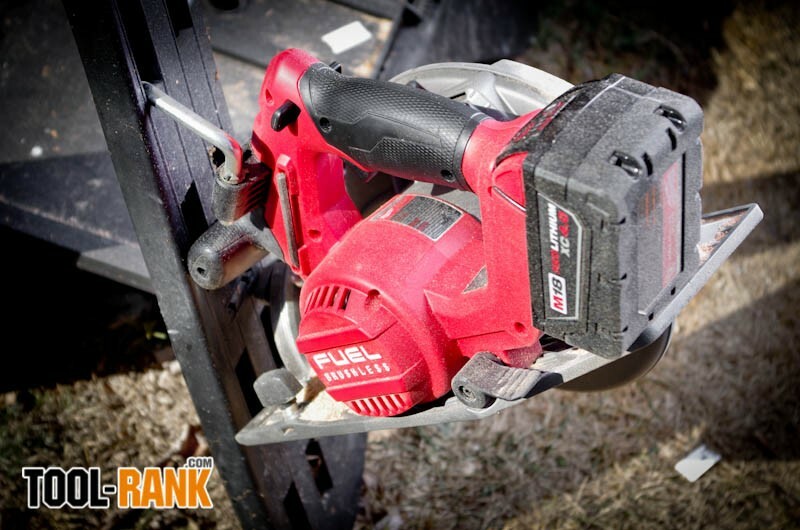 To see how well the Milwaukee M18 Fuel 7-1/4” Circular Saw could handle a full load, I put it to the same test that I put the Makita XSH01 18V X2 Cordless 7-1/4” Circular Saw through. At maximum depth (2-1/2”) I cut through 4x6 material over and over until the battery ran out. At maximum depth the saw can’t cut through the full 3-1/2”, but it gives the saw a good stress test. 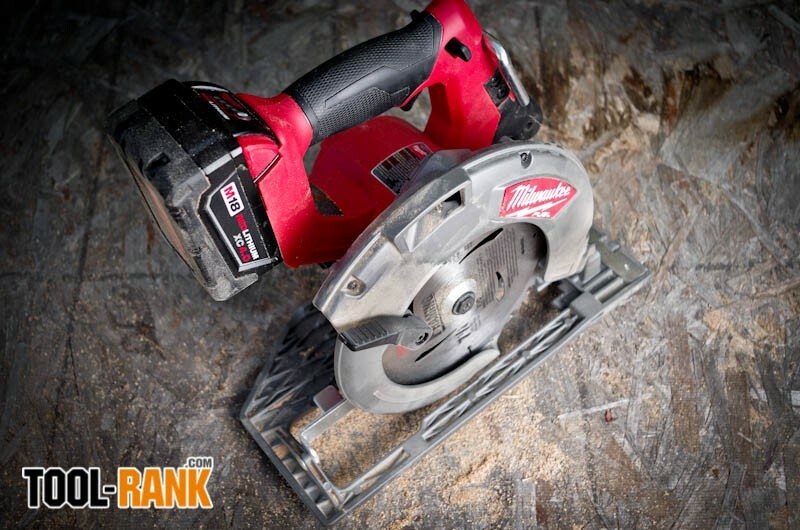 With the included 4.0Ah battery the Milwaukee 2731 was able to make a total of 85 cuts. 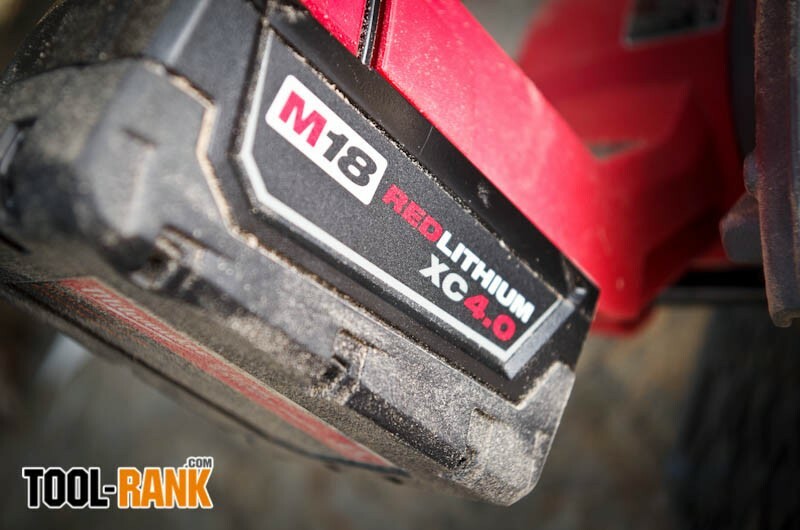 In comparison the Makita XSH01 made 97 cuts using the 2 included 3.0Ah batteries. 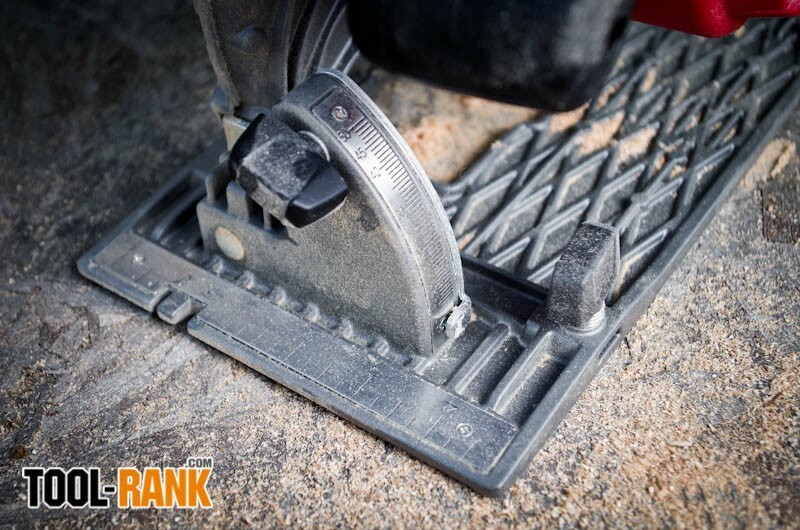 I should also note that the Makita has a cutting depth of 2-5/8”, so it was cutting 1/8” deeper each cut. I have always had the feeling that it is the small details that separate good tools from great tools. 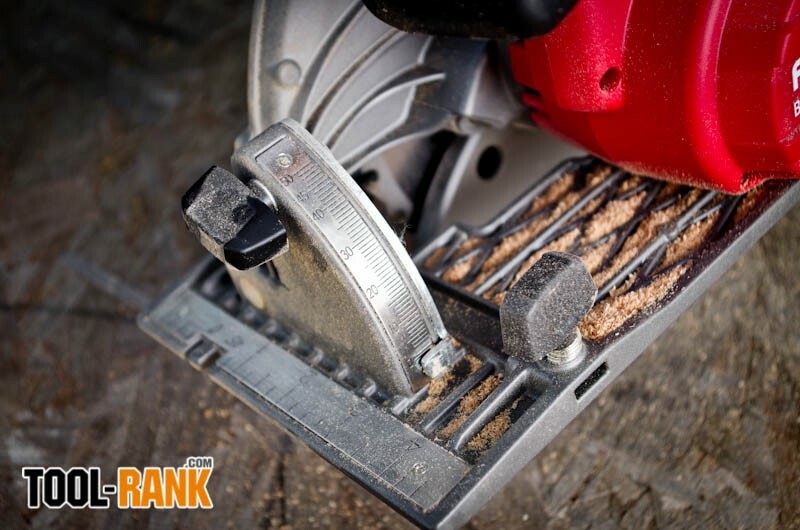 While it would probably be enough for many users to have a no-frills 7-1/4” Cordless Circular Saw with the cutting power of the Milwaukee 2731, the 2731 is not a no-frills saw. The features I expect to be good are the bevel controls, which are smooth and easy to read. It is easy to spot bad bevel adjustment controls, but sometimes when features work well they are overlooked. The other features I really like were the built-in LED light and the rafter hook. I almost expect an LED light to be put on every tool, but I appreciate the fact that the LED comes on when the safety switch is pushed, not when the trigger is pulled. This means you can turn it on to see where you are going to cut before powering on the saw. While I normally wouldn’t care about a rafter hook, the one on the 2731 fits just perfectly into the holes on my Crawford Saw Horses, and folds away when not in use. Since I do most of my cutting at my saw horses, I now have a place to put my saw without it having to be on the ground. My only real complaint about the saw is the trigger, which doesn’t fit my hand well. It sits high in the grip area, but I noticed my hand wants to slide down while I am pushing the saw. This means that as I push I have to fight to keep my finger from slipping off of the trigger. 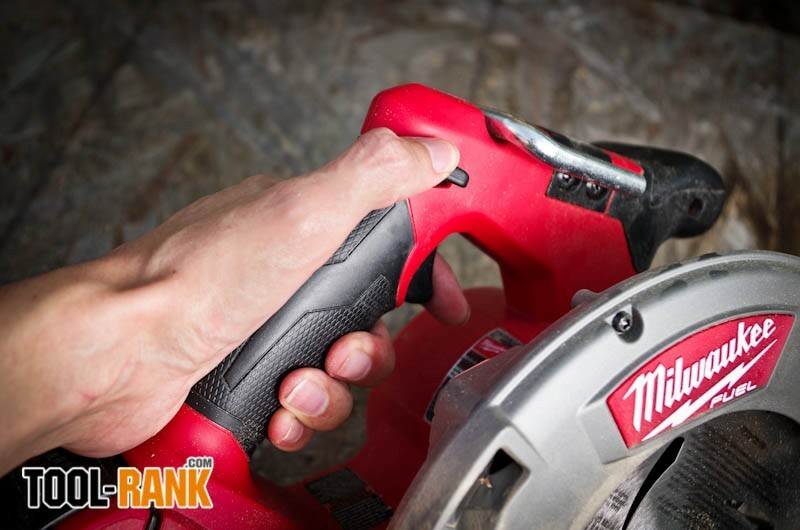 I have noticed that I don’t like the triggers on other Milwaukee cordless tools, so maybe it is just me. Something else people might take issue with is the lack of a bevel stop at 45-degrees; the saw bevels up to 50-degrees. I don’t bevel often enough for this to bother me too much, but I do like having a positive stop when I am beveling to 45-degrees. There is an adjustment so that you can dial in 0-degrees if you should ever need to. I however am one of the few that prefer a blade-on-left style saw, so until Milwaukee comes out with a lefty version I am going to have to stick with my corded Saw Boss; believe me, I would like to switch to cordless. 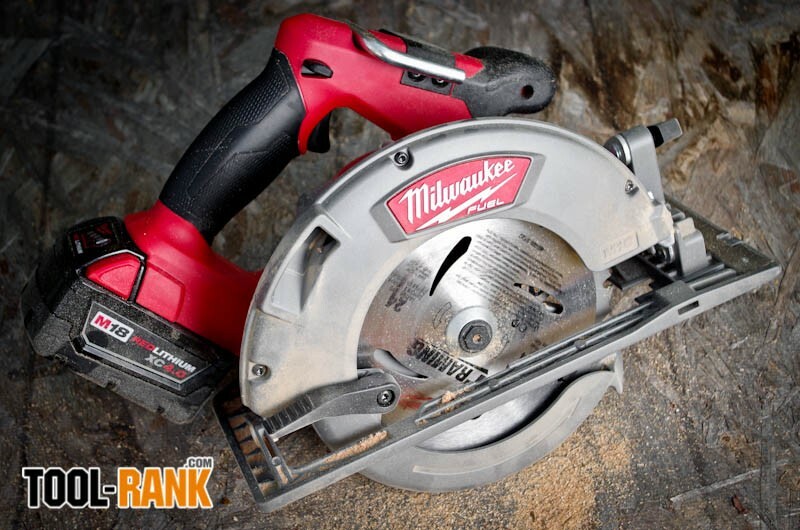 Until then, I might just see how the Milwaukee 2731 M18 FUEL Brushless 7-1/4” Circular Saw does as a track saw with the EurekaZone track saw system.